Upon reading the blurb of this book I was very interested in the plot. Unfortunately, the first half of the book simply confused and bored me. 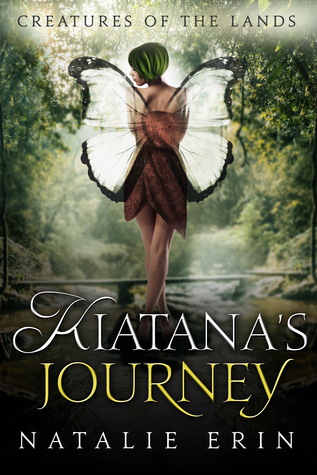 The main protagonist, Kiatana,didn’t seem to have a personality because her character had so little development from the start of the book. She is supposed to take care of the animals and be a ‘Snow White persona’, however her compassion towards animals seems to be patchy. She acts like a typical teen girl, which is why some of the events that occur throughout the book surprised me a little, but more on that later. The Changer/Acompany relationship reminded me of ‘The Golden Compass’. A human and an animal counterpart are bound to each other from birth. It’s actually an interesting relationship and could have been expanded and explained in more detail, which is was… but only in the last 100 pages of the book. The plot is actually really interesting. I enjoyed the characters fighting battles, meeting new characters and saving ‘the world’. My main issue with this book… and I will admit that I am incredibly picky in this regard, but the romance drove me mad. It came out of nowhere and everything happened so fast. It was very cliché… girl finds boy annoying and then by the end of the book they are together. However the execution of this was awkward and choppy. The second half of the book was really good though, so it raised my overall rating of this book. The characters finally became individuals with their own personalities, emotions and thoughts. I would recommend this book to younger readers. There are underlying themes of this book such as friendship, loyalty and forgiveness that are prominent and are always refreshing to see as they send a good message to the readers. Overall, It’s a decent quick read book.